So this weekend was a total roller coaster of emotions. But the best emotion was complete happiness over the way my bridal shower turned out. As I mentioned previously, we had the shower at a tea shop called A Taste Tea. It is a mix between a cute knick knack store and a tea shop. The store itself was super cute but the finishing touches were what made it perfect! 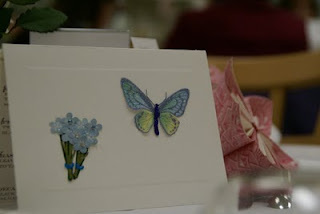 The handmade place cards. 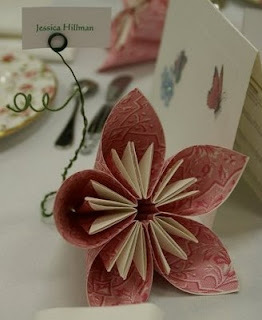 These were folded out of paper using an origami method of paper folding. These little cards held all of the hot tea options for lunch. 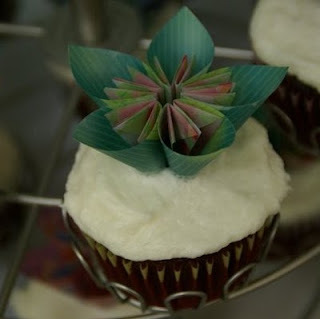 Smaller handmade flowers on top of the cupcakes to match the place cards on the tables. The homemade cookie favors. 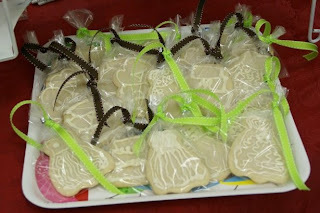 The cookies were in the shapes of wedding dresses, hearts, and a wedding cake. 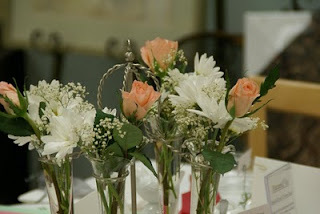 Each table had a different centerpiece holding the pink and white flowers. It was very pretty! 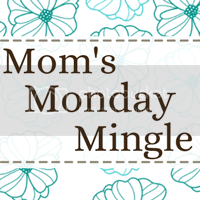 Top Two Tuesday - Shopping!